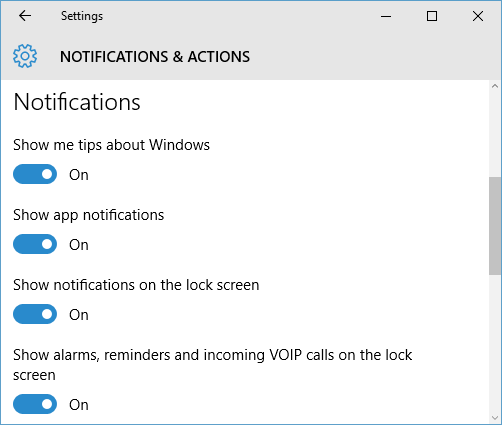 Windows 10 has notifications feature where you can get quick notifications from your apps like Mail, chat applications, calender reminders, and other apps which provides notification features. You can also turn off notifications for specific applications or also disable notification sounds, disable notification banners, disable notifications display when your computer is locked or when you are presenting from your computer. You can open notification settings screen by opening Windows 10 Settings App (click "Settings" shortcut in Start menu or type "Settings" in cortana search box and select "Settings"). In Settings App, select "System" to display System Settings screen. In System Settings screen, select "Notifications and actions" in left pane, to open "Notifications and actions Settings" screen. Notifications section in this screen will show below system-wide notification settings that you can customize. Show me tips about Windows: Use this slider to enable or disable notifications for Windows 10 tips from Microsoft. Show app notifications: Turn off this slider to disable app notifications for all applications on your computer. 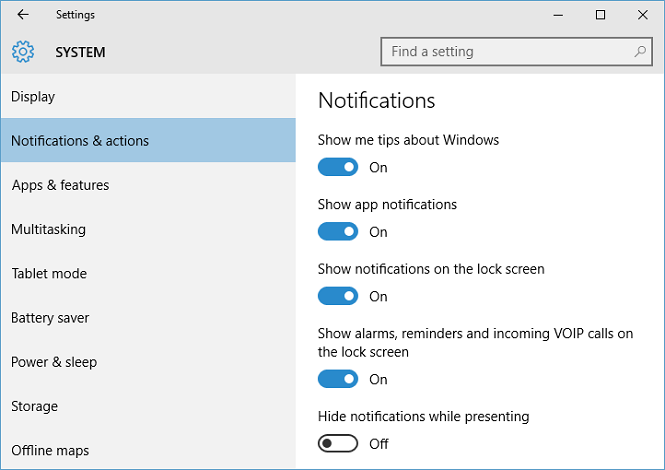 Show notifications on the lock screen: Turn off this slider to disable displaying notifications on Windows 10 lock screen on your computer. Show alarms, reminders and incoming VOIP calls on the lock screen: Turn off this option to disable displaying alarms, calender reminders, and VIOP call notifications (like Skype incoming call notifications) on lock screen. 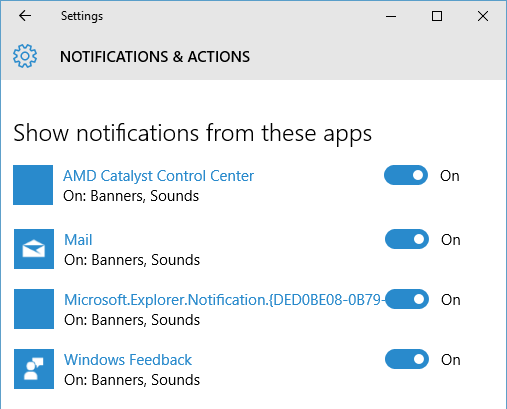 Scroll down on "Notifications and actions" screen to "Show notifications from these apps" section where you can customize application specific notification settings. This section will display list of all apps which can generate notifications. Turn off slider next to application name to disable all notifications for particular application. Notifications: Turn off this slider to disable all notifications for application. Show notification banners: Turn off this slider to disable notification banners for application. Play a sound when notification arrives: Turn off this slider to disable sound alerts when new notification arrives in application. 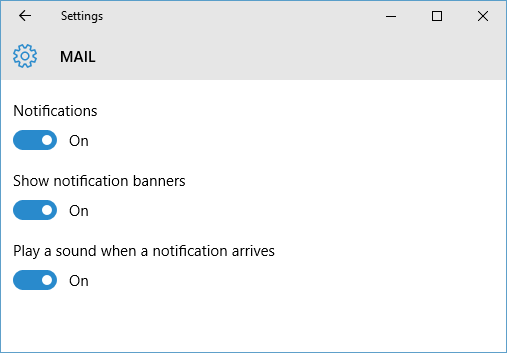 Notifications in Windows 10 will help you to stay current on all your applications, and daily tasks by getting immediate alerts for important events like mail, meeting reminders, messages from friends and family. You can use above options to customize notifications as per your preferences.